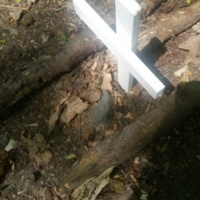 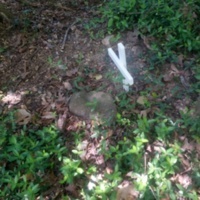 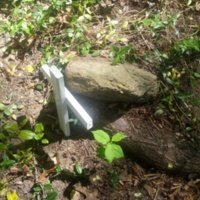 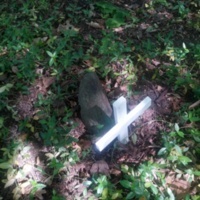 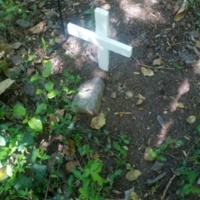 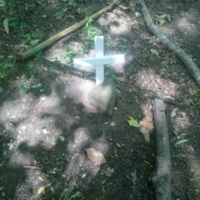 This is one of eight field stones located in the Grimsley family cemetery, they are all unmarked and there is no record known that indicates who may be buried there. 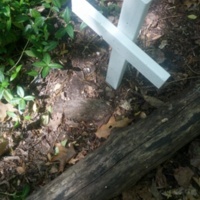 As of April 2013 the stones are marked with white crosses in the cemetery. 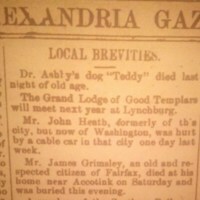 This is a newspaper article printed by the Alexandria Gazette on October 16, 1863. 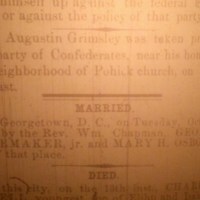 The article states that Augustine W Grimsley was arrested by confederate forces on the month of October. 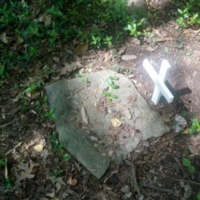 This the death obituary of James Grimsley that was published in the Alexandria Gazette on September 10, 1894.